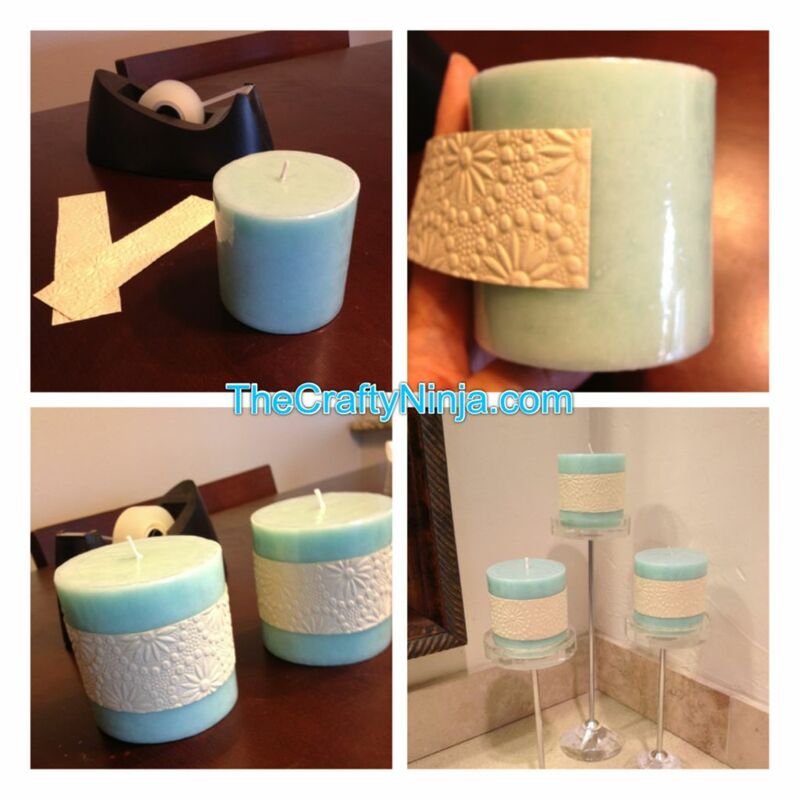 This is a very easy and quick tutorial to decorate a plain boring candle into a decorative piece. Decorate candles for birthday parties, wedding center pieces, parties, or just for home decoration. Use any scrapbook paper to create this customized look. This mint green color is currently the color theme of my guest bathroom. First use a ruler to measure 1.5 inches strips. Then tape the strips onto the candle. 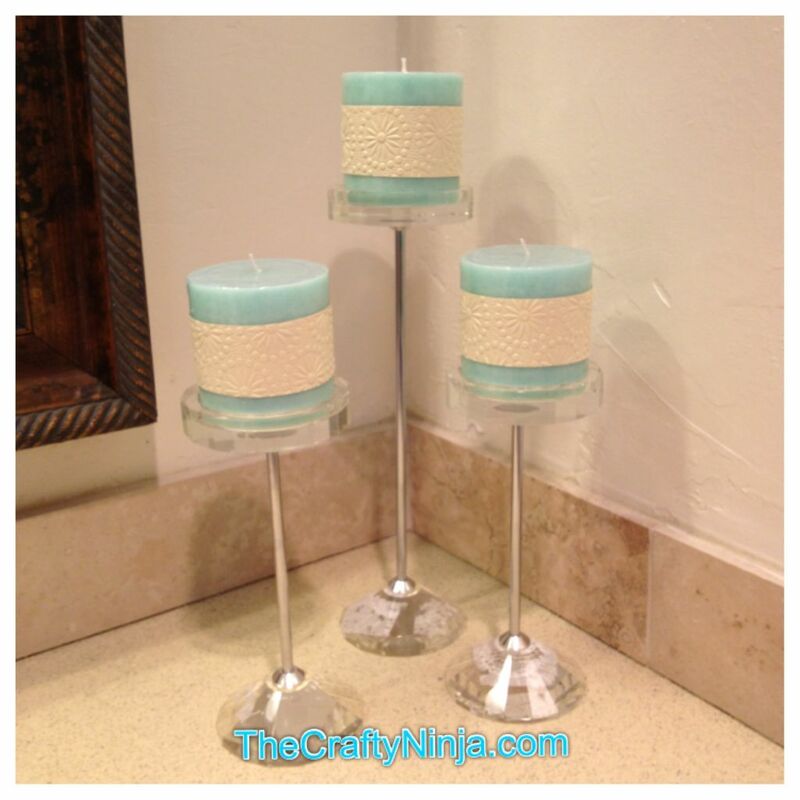 Please be aware that these candles are not to be used to burned but only as part of my design for the bathroom.